Startle response & Pre-pulse inhibition test | O’HARA & CO.,LTD. On this system, you will put subject into cylindrical chamber and put on an acceleration sensor, then software quantify the startle response of subject. 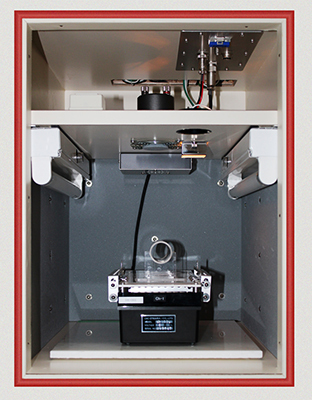 When you use chamber for this test, you need to put the chamber in sound attenuating box. You can easily set or modify sensitivity of acceleration sensor with attached gauge. 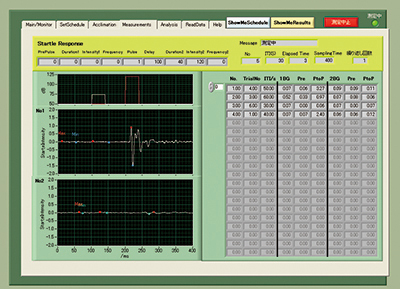 By using software, you can manage schedule arbitrarily, save measured data, and check the data as waveform. Also, software saves the data as text format. This entry was posted in Products and tagged long-term habituation, sensorimotor gating, short-term habituation on 7月 23, 2015 by admin.